The Bachelor of Science in Information Systems Technology introduces concepts upon which information systems are founded and analyzes them as solutions to real-world problems. 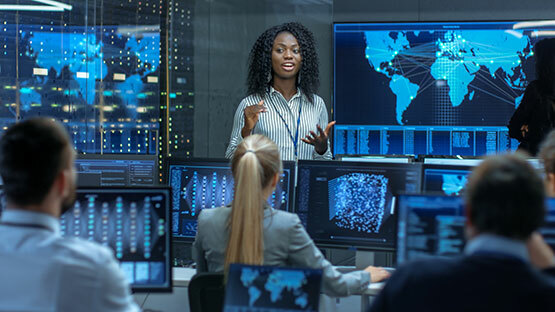 The curriculumm provides students with the critical skills and knowledge required to direct and control the design, planning and management of information infrastructures in professional settings. This degree program addresses the workplace need for professionals with information systems management and development expertise. This concentration focuses on the threats faced by information systems. Students learn how to identify threats against an organization’s digital assets, as well as the tools and methods to mitigate those threats. Upon completion of the program, the student will have learned to collect and analyze evidence from Windows and Linux computer systems and to footprint, scan, and enumerate networks, how to hack web applications, wireless networks, and mobile platforms, and how to evade IDS, firewalls and honeypots.